I was recently reading, The Trial of Jeanne d’Arc—a collection of the actual documents of St. Joan of Arc’s heresy trial. It seemed like the English churchmen involved were using the “Spaghetti Approach” (throw it at the wall and see what sticks). It was a little off-putting seeing some of her responses though. From the sensibilities of a 21st century American, some of her ideas seemed harsh, or even flaky. But, on reflection, I realized that how a 15th century French woman expresses herself has an entirely different set of cultural baggage from a 21st century American male. Without recognizing those differences, it becomes extremely difficult to interpret the meaning of things. This led me to think about the ongoing disputes within the Church, especially with the claims of the “break in continuity,” or “error in past teachings” (depending on how one views Church history). I see a problem with confusing one’s perception with what IS. When we ignore our cultural baggage and our preconceptions, we begin to think of our biases as reality and think our interpretations of Scripture and Church teaching are the actual meaning of Scripture and Church teaching. The meaning of words change over time, and we need to understand the meaning of the word at the time a document in question was written. For example, I occasionally see people treat the Church interactions with the Albigensians as a sort of genocide, because some documents talk about “exterminating” them. The problem is, the word “exterminate” has a different meaning today than in the Middle Ages. In Latin, exterminatus had the meaning of “banish, expel; dismiss.” To translate it in the sense of “exterminate” today (“destroy completely; eradicate”) is to mistranslate it. Conditions also change over time. The world today is not as it was in the past. We cannot expect a program based on the social and political structures of the 15th century to meet the needs of the social and political structures of the 21st century. But neither should we expect that what the Church rightly condemned in the past means that an underlying good is condemned. For example, European governments in 19th century Europe were notoriously anti-clerical, and claimed to do so for the benefit of humanity. The Church rightly condemned those false invocations of human rights. But that is not a contradiction with the Church defending true human rights later on in history. I could go on multiplying examples, but the above show that what we perceive to be a contradiction or error may not actually be one. It may be that based on our assumptions and flaws in knowledge, what we perceive to be an error may only be a flaw in how we interpret what is going on. I think people forget one of those things: Either they forget that the Church teaches things that are objectively true and cannot be contradicted (doctrine and morals), or they forget that they teach these objectively true things with different expressions for different times. The former tends to treat any Church teaching as something which might be overturned if the “right Pope” comes along. The latter thinks that a change in expression is a contradiction of the past. Both assumptions lead to error. When it comes to the obligation to give assent to Church teaching, I find that some Catholics use the above errors to justify disobedience. The Catholic who thinks a teaching should be overturned will try to find “evidence” of contradiction to justify their own dissent. The Catholic who thinks a discipline should not be overturned tries to find “evidence” of rebuked Popes. Neither considers the possibility of their own failure to understand what is irreformable and what can legitimately be changed. When the Church abrogates or derogates a certain discipline in her teachings, this is not a contradiction. It is saying, “this is how we can be most faithful to the teaching in this place and time.” It is not “mental gymnastics” to try to discern the objectively true in the midst of the application fitting for that time. It is not Ultramontanism to respect the authority of the Magisterium even when the temporal aspects of a teaching are superseded—it is simply a matter of recognizing the irreformable truth and the reformable discipline that goes with it. If we can seek to inform our views with the truth, we can avoid the pitfalls of accusing the Church of error, when there is no error. The Holy Father confirmed that his words—on bishops and confessors needing to evaluate each case of the divorced and remarried person to determine whether all elements of mortal sin are present instead of assuming they exist—are not an opinion but teaching of the ordinary magisterium. According to Canon Law 752 [∞], we are bound to follow that teaching, and not act against it. While the secular media has ignored this story so far, it is stirring up dissent among a certain set of Catholics who argue that this contradicts previous teaching and, therefore must be ignored. Some have gone so far as to argue that Catholics are bound to not follow the Pope on this matter because it is a “heresy.” These critics are under a delusion that the Pope can be corrected by the bishops—some even going so far as to think he can be removed from office. The fact of the matter is there is no such provision in Church teaching. Canon Law #1404 tells us that the Pope is judged by no one [†]. 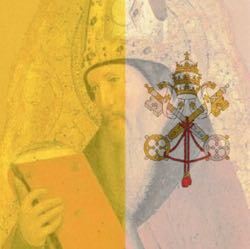 Canons 1372 and 1373 [§] tell us that the person who is tries to appeal to a council of bishops or try to stir up opposition to the Pope are to face the proper sanctions. In other words, the Church teaching doesn’t support them—it indicts them. This is not about letting people come to Communion if they feel called. Nor is it about accepting remarriage. This is about determining cases of reduced culpability. The person who has been properly taught and freely chooses to perform that act anyway does commit a mortal sin. But if the conditions interfere with knowledge or consent, the sin is not mortal even though it is still serious. That doesn’t mean we let the person continue in their sin. For example, the alcoholic or the sexual compulsive may have reduced culpability, but the confessor works with them to get them in right relationship with God and His Church. Such people might be encouraged to receive the Eucharist, but no confessor would tell him his actions are morally acceptable. This is the situation for some of the divorced and remarried. In some cases that may mean helping the person get an annulment. In others it may involve helping them accept living as brother and sister instead of as husband and wife. If some of them have diminished culpability (that is, so the sin is not mortal in their case), they might be able to receive the Eucharist. If the person is unrepentant, and has no intention to change, and somehow deceives their confessor, they will face judgment—God is not mocked (Galatians 6:7). The problem is, the critics assume that any abuse that might arise from a negligent confessor or a lying penitent is willed by the Pope. No doubt there are priests out there who say, “that doesn’t matter.” But that is incompatible with the Pope’s call for repentance. The whole point of his Year of Mercy was to get people reconciled. If he just wanted moral laxity, he wouldn’t be telling priests to be available in confession and urging people to go. This rebellion is born out of the assumption that the Pope must be a heretic. Under this begging the question, whatever he does is interpreted through that assumption and used as evidence—even though the interpretation itself needs to be proven. But these critics show they are mistaken about what the Pope is doing and what the Church teaches on culpability. Since they are wrong, their conclusions cannot be accepted as true. [∞] can. 752† Although not an assent of faith, a religious submission of the intellect and will must be given to a doctrine which the Supreme Pontiff or the college of bishops declares concerning faith or morals when they exercise the authentic magisterium, even if they do not intend to proclaim it by definitive act; therefore, the Christian faithful are to take care to avoid those things which do not agree with it. [†] can. 1404† The First See is judged by no one. [§] can. 1372† A person who makes recourse against an act of the Roman Pontiff to an ecumenical council or the college of bishops is to be punished with a censure. can. 1373† A person who publicly incites among subjects animosities or hatred against the Apostolic See or an ordinary because of some act of power or ecclesiastical ministry or provokes subjects to disobey them is to be punished by an interdict or other just penalties. When people accuse the Church of changing, they generally think the Church is contradicting herself. They think that the Church now sanctions something she originally thought was a sin. What they don’t consider is that the Church refines her teaching, so that as humanity discovers more ways to do evil, the Church applies her teaching to the circumstances of an age in order that people of that age might be saved. Critics that think this way can be opposed to change and think that the Church fell into error after a certain point. Or they can favor change and think the Church finally got something right. Both err, because they don’t understand what is changing. For example, some Catholics believe that because the Church stopped mandating meatless Fridays, or changed Church teaching on lending money, she can change her teaching on sexual morality. What they fail to understand is where the sin was in the first place. Mandatory meatless Fridays had nothing to do with the evil of meat. It was about the Church setting a mandatory penance on Fridays. Those who refused to cooperate were rejecting the authority of the Church to bind the faithful. The Church changing the penance for Fridays was not a contradiction. It was a permission for people to find a more suitable penance if needed (abstinence from meat is still recommended). Likewise, the Church never changed her teaching that usury is a sin. Rather she made the distinction between demanding interest from helping someone in need and investing money and expecting a return. Usury is still a sin. In both cases, the person who believes those cases were changing Church teaching on sin are in error. They were about deepening the understanding of what makes a sin morally wrong. I think of this as dissent solidifies against Pope Francis and his teachings on dealing with the divorced and remarried. Some people believe he is saying that the Church was wrong before on divorce/remarriage. But he is not. Reading Amoris Lætitia shows he recognizes the Catholic understanding of marriage and the evils of divorce. Most of the Apostolic Exhortation is about instructing the Church on the need to prepare couples for marriage and providing support for the existing marriages. Chapter 8 exists because there are people who are in the situation that the Church wants to avoid—the people who have divorced and remarried when the previous marriage is valid in the eyes of the Church. The Pope’s intent is on getting these people back into right relationship with God and His Church. When it comes to the “infamous” Footnote 351, the Pope is recognizing that this, like all other sins, can have cases where even though the matter is grave, the knowledge or intention does not meet the criteria for mortal sin. If circumstances do not meet the requirements of mortal sin, then the person is not committing a mortal sin. He urges bishops and confessors to evaluate whether this is the case in specific instances. He does not open the Eucharist to whoever wants to receive it. But that’s exactly what the critics claim he is doing. They claim (with approval or disapproval) that he opens the Eucharist to “all who feel called.” They can’t get beyond the idea that the matter is grave, and assuming that the Pope’s refinement of teaching is a claim that either divorce/remarriage is no longer grave or that mortal sins are no longer a bar to the Eucharist. In making this assumption, the critics show a fundamental misunderstanding. The Pope is neither changing “X is a sin” to “X is not a sin,” nor changing the obligations before receiving the Eucharist. He is merely asking the bishops to evaluate whether there are any cases where culpability is reduced. The critics overlook the possibility that a bishop will evaluate the cases in good faith and find that the number meeting that criteria is ZERO. (Some have gone so far as to claim that such bishops are opposed to the Pope). But both views are error in themselves. When the Church teaches on faith and morals, she does not contradict herself in teaching moral absolutes, even if she should determine one approach is better suited for the current age than the previous one. Both of these views are the same error. The liberal Catholics think the past Church was wrong; the conservative Catholics think the current Church is wrong. Both are going wrong because they are in error about the nature of the Church. Another form of this error is the labeling of Pope or bishop in light 0f one’s political outlook. The person who labels a shepherd 0f the Church as liberal because he speaks out on social justice, or the person who labels a shepherd of the Church as conservative because he speaks out on the right to life is letting their perception poison their view of the Church. To avoid this error, we have to stop confusing our perception with the reality of the Church. We believe that the Church possesses the authority—given by Our Lord—to teach in His name, and when the Church teaches, we must give assent. Sometimes, when the Church teaches ex cathedra, we hold that this teaching is defining doctrine. But even when the Church teaches and preaches with the ordinary magisterium, we are obliged to hear and follow. This excludes the argument that the Church “errs” and, therefore, justifies ignoring the teaching. This is the danger a growing number of Catholics are falling into. I’ve seen Catholics I hitherto respected, who defended previous Popes against the accusations of supporting error, suddenly act as if this current pontificate is an exception to the protection God gives the Church. I’ve seen known dissidents suddenly pretend to be faithful Catholics, ignoring the fact that they failed to give the Pope’s predecessors the same assent they claim to give now. Even though both groups despise each other and blame each other for what they think is wrong with the Church, they foment dissent and accuse the other side of it, never realizing that they are guilty of what they condemn in the “other side.” But this is not an invincible ignorance. The fact that they condemn this behavior in others means they know it is wrong. Our Lord Himself warned us of the consequences of rejecting His Church (Matthew 7:21ff, 18:17, Luke 10:16). So let us be wary of our perception. It can mislead us into wrongly assessing change and lead us into dissent that puts us at odds with the Church we claim to defend.